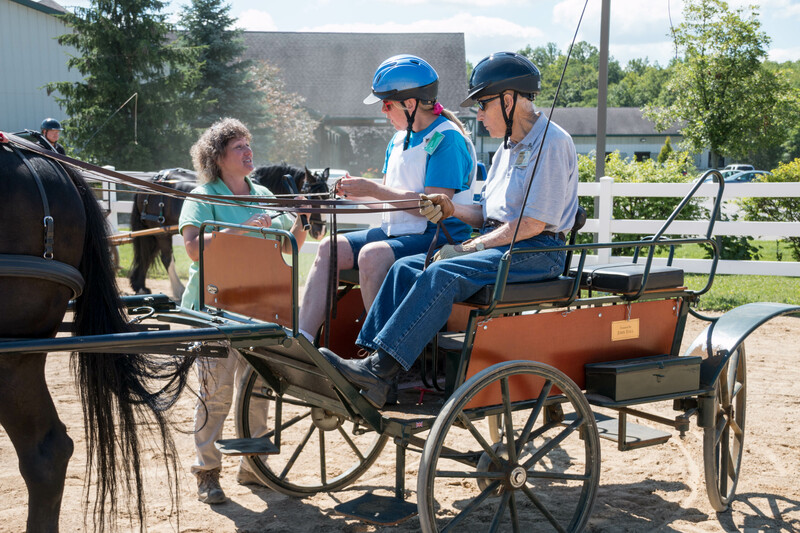 For many, coming to Fieldstone Farm is the highlight of their week. They walk in and find a peaceful and accepting place where they can leave their stresses at the door. It is all about being present in the moment and overcoming obstacles, celebrating accomplishments, and relishing the connections formed with four-legged friends. 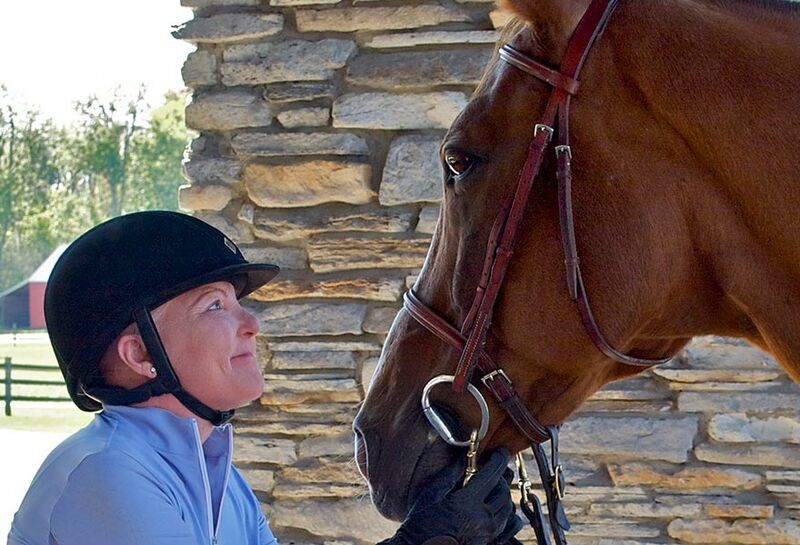 Our horses help people with a variety of physical and emotional challenges. Riding helps build strength and balance to sit-up, walk, run or jump. The experience with horses can also help people find courage to overcome an anxiety or deep sadness that has been holding them back. Bonding with a horse can help people learn to trust and love again. For everyone who touches our horses, no matter their age or ability, they discover a confidence-building and joyful experience that urges them to strive for more in their lives. EquiClub — We offer an after-school program for teens and young adults, where students learn about horse care, feeding, and grooming. The class also gives students an opportunity for socialization. Veterans Program — More than 260 veterans, active-duty military and their families come to Fieldstone Farm each year to work with horses. Our program is one of the largest equine programs for veterans in the country. 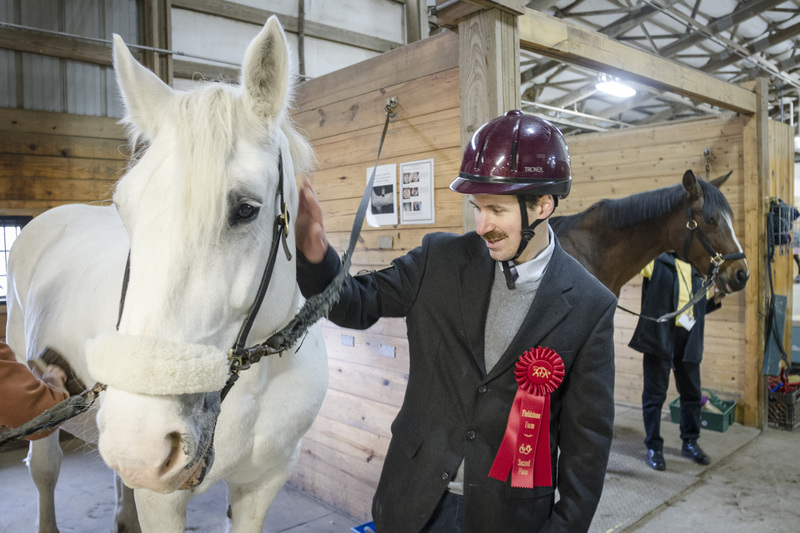 While riding, grooming, interacting with horses, or getting behind horse-drawn carriages, you learn ways to overcome the struggles of everyday civilian life and heal from the emotional and physical scars of military service. Equine Partnership — These sessions involve working one-on-one with horses on the ground, whether grooming, or perf orming exercises in our round pen or arenas, alongside licensed social workers and equine specialists where people often experience breakthroughs that often take years to discover in a traditional clinical setting. 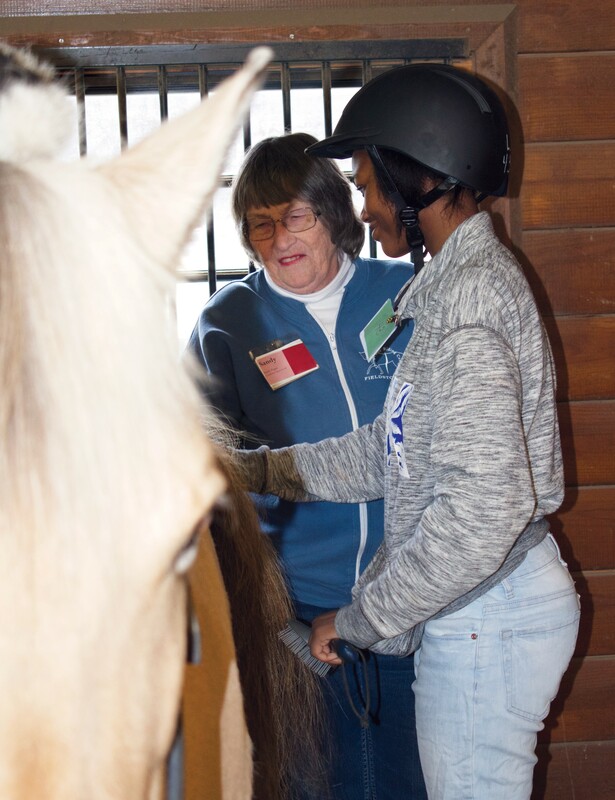 Silver Strides — Our riding class designed for people 50-plus meets each student where they are with riding skills from beginner to intermediate. Students gain strength, balance, confidence and friendships as they improve their riding skills.